So there's some great news I'd like to share with you. We've been hard at work recently, partnering with new suppliers and increasing our volumes in an effort to bring down the pumps costs for everyone. The great news is that we've been successful at reducing the cost to $99.95 per dispenser. This adds up when you're wanting to dispense more than a few ingredients. The down side, albeit short-term is that there are some growing pains with working with new suppliers. We've hit a few snags on material shortages and long lead times, so the dispensers that were expected this week will take about two more weeks before they can be completed. We expect to be able to start shipping the new dispensers on the week of November 7th. Thanks to those who have already been waiting patiently for these, I hope the new price will make up for the wait! In other news, we've also been working on an Arduino shield that will couple with a Bartendro Dispenser and provide a quick and easy interface for controlling a dispenser without a computer or even a smartphone. This project is still in development, but we anticipate releasing it before the end of the year. Stay tuned. We've been heading in that direction and recently created these slick bottle toppers that keep dust and fruit flies off your precious booze. As we continue experimenting and developing, we're coming up with even better solutions and hope to get your feedback on them. If you've been using Bartendro for a while, you'll notice a few things. If an ingredient isn't loaded, the tubing dangles down to the table or surface that the bot is on. Unfortunately, this length is required to get to the bottom of the bottles while allowing a little bit of bottle shifting. You'll also notice that while restocking a bottle, there is a bit of inevitable dripping as you transfer the tubing from one bottle to the next. Finally, you'll notice that over time and prolonged soaking, tubing may begin to yellow, especially with highly tannic ingredients like cranberry juice or wine. So, we set out to address some of those things and here's what we came up with. We chose the ever abundant and ubiquitous glass mason jar as our star. We found that the wide-mouth style comes in a variety of sizes up to a half-gallon, and our favorite 24 oz size is straight-walled, making it super easy to clean. While mason jars have many accessories and lids, we couldn't quite find anything that fit our needs and was affordable, so we custom made our own. We're still experimenting with 3D printing, laser cutting and potentially injection molding some of these lids. They have two holes, a narrow one for a stainless steel tube and a wide one for a funnel. The narrow hole has a precision diameter for allowing the stainless steel tube to easily pass through without letting much else through like bugs, dust or evaporation. The larger hole has a plug in it for 99% of the time until the booze that's in the jar needs to be topped off. The lids don't create a prefect seal, but that's good because the pump tubing would collapse if the pumps were trying to draw that kind of vacuum. Another key component of this setup is a special fitting that will connect the stainless steel tube with the soft tubing. As we experimented, we found that we were forced to use different diameter tubing which actually opened up the options for tubing materials quite substantially. We also found that the gray fitting below with a 1/4" stem can actually connect into one of the dispenser nuts quite nicely. We decided to test several new tubing chemistries. You can see the results in the image below. After 2 weeks of soaking in a glass of wine and a quick rinse, the following is what three different types of tubing looked like. The one on the bottom is what is currently shipped with bots and dispensers. We needed this tubing because it was thin-walled and allowed for drinks to be poured out of the spout with less splashing. Our liquid level sensors also needed this inner diameter. However, if we loosen some of those constraints and go with the narrower 1/8" ID tubing, we have much nicer chemistry options albeit for 5 times the cost. So let's go back to our original question. Is it practical to have a Bartendro in your home bar? With the swanky setup above, we certainly think so! The only other thing to keep in mind is the shelf stability of the ingredients you like to use. Spirits and liqueurs are fine, but perishables like freshly squeezed juices need to be loaded up on demand. The mason jars can be labelled to give an elegant, or classic apothecary look, and they're clear unlike some bottles, so you know when you're running low. They can be easily removed with the straw and put into the fridge when done. The tubes won't dangle, or yellow, and there will be no drips even while restocking at a busy party (if you're careful, and not too inebriated). So that's the solution in a nutshell. Glass jars can be purchased from the local hardware store and the other materials can be purchased from online retailers. The goal in designing all of this was to keep the cost under $10 per ingredient, but it's closer to $15 with the expensive new tubing, but we think it's worth it. So what do you think, do you want to see a retrofitting kit in our store? It's been a great year for us here at Party Robotics. We've attended many events with our Bartendro and won first place at the Cocktail Robotics Grand Challenge at the DNA lounge. But more importantly, we've enjoyed hearing your feedback and seeing the awesome projects you've made for business and for pleasure. We've attached some pictures and videos of projects we've heard back from this year. Check them out below. We love getting pics of your setups, so please do send them! We've also been making some improvements within. We recently started using a better platform for turning our manuals into beautiful guides, and a few months back, Sparkfun started distributing our Bartendro Dispensers. We have many ideas going forward on how to improve our products and our documentation and we're looking forward to kicking off 2015 with some exiting new things. May you enjoy your holidays with your loved ones and robot made cocktails, and we'll see you next year! This Cyber Monday we'll have a killer deal on Bartendro 15. We'll be taking an unprecedented 20% off our biggest, baddest, cocktail slinging robot. That's $800 in savings, enough to stock up the bot with high end stuff and make drinks for a few hundred friends. If you've been thinking about it, and you love entertaining, this is your opportunity. Use the code bot20 to apply the discount. Use code party10 to get 10% off everything else in the Party Robotics store. Savings go from 12:01am - 11:59pm PST on Monday December 1st. On a recent camping trip, we took Bartendro out to make drinks for our friends in the fine outdoors. Each bottle had a single tube draped down into its liquid with no bottle topper to keep the bugs out. A small swarm of bees got wind of the sweet scent and in no time, regular sized bees were negotiating themselves down the crowded bottle neck. Unfortunately, the exit seemed to be much more elusive than the entrance, and they found themselves drinking and swimming in what must be the most decadent way for a bee to go. Unfortunately, the camp-goers weren't quite as happy as the bees. After a few hours the bees were bobbing in the sweet stuff. Off-putting, I know, but this was inspiration to refine a component of Bartendro that needed some attention. Before Bartendro made its debut, the first comments that people made were about the exposure of booze to the open air. We understood the concern. Even with the tubing hanging down into the bottle, there was still plenty of space for fruit flies (even bees) to find their way to the delightful nectar. Commercial environments, especially bars and restaurants take this very seriously and every night the bottles are capped with plastic wrap or some other type of closure. It's a real sanitation concern and we made sure that we would address it before shipping any of our Kickstarter orders. Our solution was these plastic bottle toppers that could allow the input tube and level sensor tube to pass through the bottle top and not allow any fruit flies in. While effective, there were a couple of problems with this design. Sometimes, when catering a small get-together or out of sheer laziness, using the liquid sensor tubing wouldn't be desirable. We often run the bot without the second tube because we're usually standing next to the bot and monitoring it anyway, and we don't want to clean a second tube for every bottle at the end of an event. If we were to use the bottle toppers, we would still be left with a gaping hole for pests to get into. The second problem was more of a logistical and manufacturing one. These parts were quite difficult to source, expensive, and slow to modify. We found that it was nearly impossible to make a one-size-fits-all type of solution. There was simply too large of a range to make an elegant solution. We created a large spreadsheet and measured as many bottle openings as we could get our hands on. The data showed us that there were four distinct groupings of opening sizes so we decided to design for those. This covered everything from a narrow dessert wine to a wide-mouth cranberry juice bottle. There was a limitation in that some bottles could not accept two tubes to begin with, so we did not design for bottles that were that narrow. The plugs are slit in a similar way as fountain drink covers, but instead of poking a straw through, you poke your tubing through. We tried many variations of slit length, number of slits and distance between both slit patterns before we reached the optimal design. The hole in the center is the biggest opening at 0.010" and about 0.002" when a tube is inserted. The average fruit fly body is about 0.030". The part is made of food-grade silicone, it is soft and flexible, and will allow the passage of the tubes in either direction hundreds of times without tearing. We will now be including these new caps with all new bot purchases. In the near term we will likely make them available for purchase individually, and they should range from $3-$5 depending on size. On September 14th, the Party Robotics team once again took Bartendro out to play with some of the other cocktail robots in San Francisco at the DNA Lounge’s Cocktail Robotics Grand Challenge. While we’ve attended other Bar Bot events before, this was our first time competing for prize money. Once again, Bartendro was a crowd favorite serving over 200 drinks to a vivacious crowd. When judging time came we gathered in anticipation. Third place was awarded to Tikibot who delivered world class shaken Mai Tais. Second place went to the always amazing Cosmobot who always serves up our favorite dry ice chilled drinks. First place was given to yours truly, Bartendro!! Many thanks to the DNA Lounge and all of our other fine cocktail robot competitors, keep on doing what you’re doing and dreaming up new ways of getting people drunk. In other exciting news, The Long Now Foundation is running a fundraiser to spruce up their literary bar, The Interval in San Francisco. Part of the money raised will go to building the Bespoke Gin Robot. This bot uses Bartendro Dispensers to deliver custom gin infusions using 15 different botanicals. If you love robots, gin, and tasty beverages consider donating and making their bar even better than it is now. We’ll be sure to let you know when the Bespoke Gin Robot is up and running so you can go try it out! After a whirlwind trip to Burning Man, Party Robotics is back home and ready to serve you some delicious cocktails! If you’re looking for something to do this Sunday evening, September 14th, join us at the DNA Lounge in San Francisco for the Cocktail Robotics Grand Challenge.You can get an ice cold cocktail from Bartendro or any of the other fabulous robotic bartenders available to serve your libation needs. The Robot Happy Hour begins at 5pm and contest judging is at 9:30pm. Tickets are available for $10 in advance or $12 at the door and includes two robot drink chips. We look forward to seeing you there! 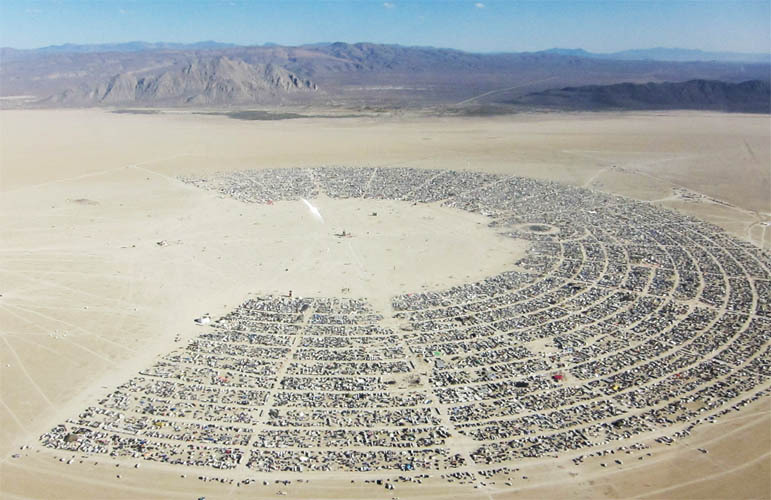 All members of Party Robotics will be out on vacation next week getting dusty at Burning Man. We will be cut off from modern forms of communication, so we won't be responding to any emails during that time. Any orders received after 8/20 will be fulfilled starting 9/2. Thank you. Hey everyone, I hope you've been enjoying your summer with some tasty beverages. Things have been ebbing and flowing in Party Robotics land over the last couple of months. We ran out of several things some weeks back, but now we're stocked up on everything again, and the best news is that Bartendro Dispensers are now 10 bucks less! Did we change anything about them? Nope! As we've been refining our process, and understanding our costs better, we've decided that we would pass the savings on to you. It might not seem like much, but every little bit helps when you're trying to build a big bot. For those in the Bay Area, we've also officially signed up for the Cocktail Robotics Grand Challenge, happening in about a month at the DNA Lounge in SF. Come root for your favorite robots. The event is on a Sunday from 5pm to Midnight and tickets cost $10 in advance. Makers, they're a crafty bunch. We scrounge, we forage and we use are expert resourcefulness to bind our projects together, sometimes with a little more hot glue and zip-ties than necessary. As makers, we generally try to accomplish our goals without re-inventing everything. We use the tools and gadgets that our co-conspirators have already developed to build on top of and get to results as quickly as possible. The quicker we fail, the quicker we can move on to the next attempt. The speed with which we've been seeing things evolve lately is pretty phenomenal. When the barriers to innovation (like patents) are removed and others are allowed to use and build on top of the works of others, we see rapidly compounding effects. The open source movement has enabled so many, and has arguably only benefited the general public. It's important to remember that making things in a vacuum doesn't benefit anyone. We need to share our projects and ideas with the community at large so that those ideas and projects can blossom to their full potential and inspire others. For us, today was a special day where we feel like we've done our small part to give back to the community. Our favorite supplier of hobbyist electronics and components, where we've spent a lot of time and money buying parts to build a lot of our projects, Sparkfun.com has started selling our Bartendro Dispensers to the Maker community. May others take the building blocks we've created and unleash their creativity with them like we've done with the parts of our predecessors. In the same vein, a huge shout out goes out to the folks behind Arduino and Raspberry Pi, they have enabled us and hundreds of thousands of people to play and create without the fuss of knowing all the low level details. We were at the Maker Faire last weekend and got placed directly in front of the Arduino booth. We've bought and used dozens of Arduinos in the process of developing Bartendro over the years. So it was fantastic to come full-circle and hang out with Massimo Banzi, a co-founder of Arduino and personally thank him for making our lives that much easier. Thank you for getting us this far, our only hope now is that others may say the same about our stuff in the future. So go make come cool stuff and tell us about it!